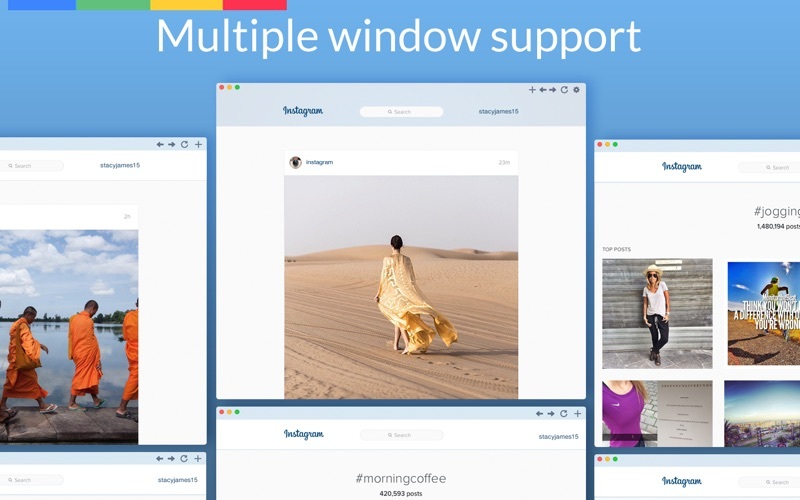 MenuPro for Instagram is a Mac application from where users will be able to browse their Instagram profiles and follow other people. 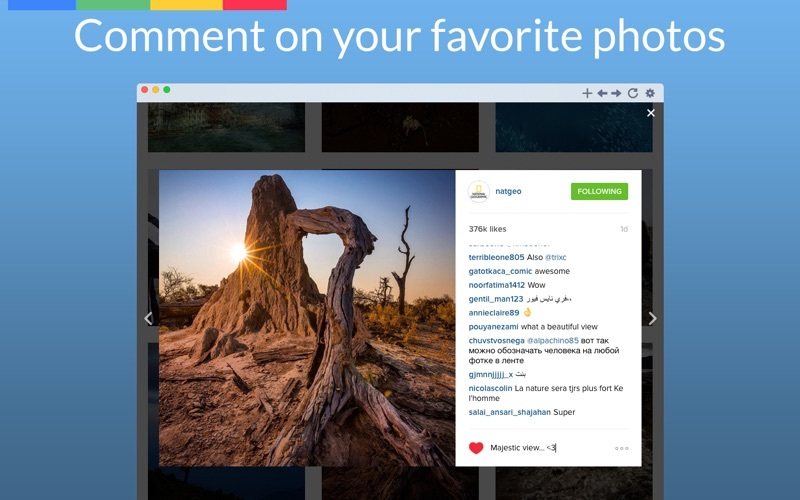 This is one of the easiest ways to use Instagram on a Mac. 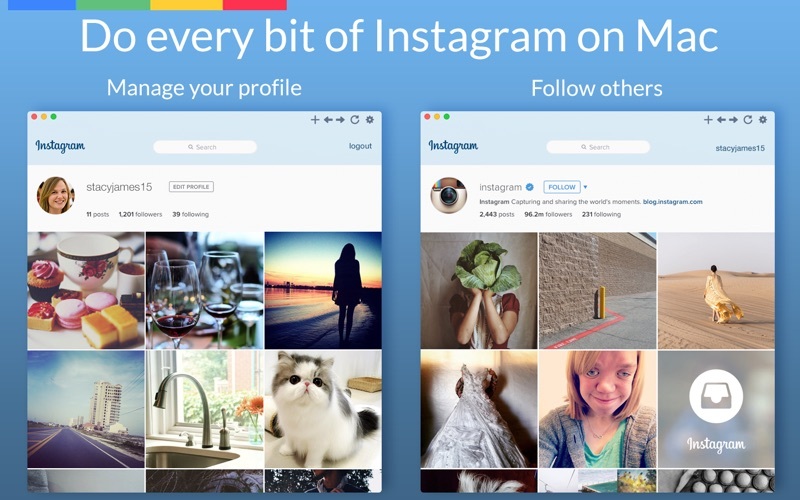 Do every bit of Instagram for faster and connect with people even when you are not using your phone app. MenuPro for Instagram is designed and built for those diehard Instagram fans who dont want to miss a single update from the people who they follow. The app itself is very easy to use and straight forward. So, grab MenuPro for Instagram today from the app store and never leave an update unattended. 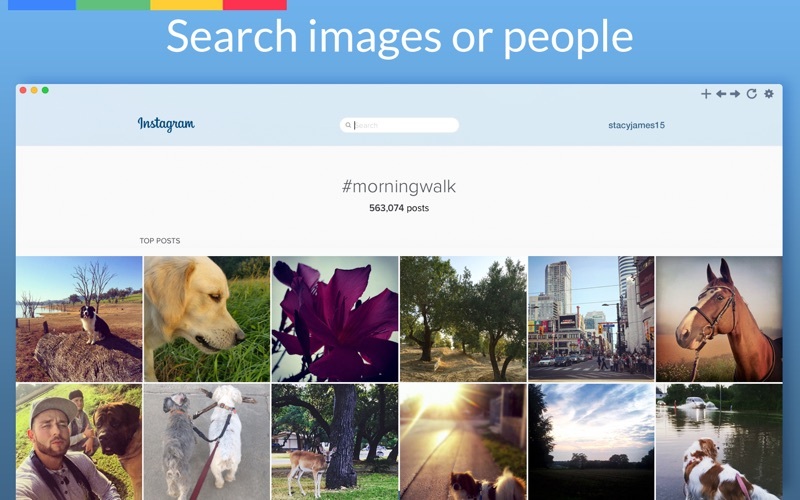 Lets Instagram together! Note: MenuPro for Instagram was not affiliated with Instagram during the development of this app.